It might be because they’ve had to try harder, but Wisconsin’s football walk-ons have gone on to remarkable success — on the gridiron and beyond. The UW tracks walk-ons only since Barry Alvarez took over as coach in 1990. No matter our pursuits in life, we’re all told at one time or another that we don’t measure up. That’s what walk-on football players face. Standout athletes from childhood through high school, these young men are suddenly confronted with no longer being good enough to earn a football scholarship to a major school — or perhaps to any school at all. And yet many of them go on to beat the odds after getting an opportunity as a walk-on — a chance, initially without a scholarship, to play for the Badgers. Here’s a look at five Wisconsin walk-ons who persevered, achieving their goals with the Badgers and the National Football League — and beyond. Bradie Ewing saw playing time during his freshman year at the UW, a relatively rare achievement for a walk-on — but not necessarily a surprise. 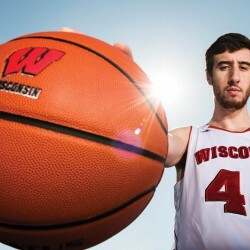 “The things that got me noticed at Wisconsin are things that I’ve done my whole life. When they asked you to run past the line, I ran past the line. I studied more than anybody. Everything they asked for, I did,” he says. By the time he was a senior, Ewing knew NFL teams were watching him. Even though he wasn’t a star player — he started only eleven games in four years — he believed he could play at the highest level. Honors Two-time Academic All-Big Ten. Played in three consecutive bowl games, including Rose Bowl victories in 1999 and 2000. 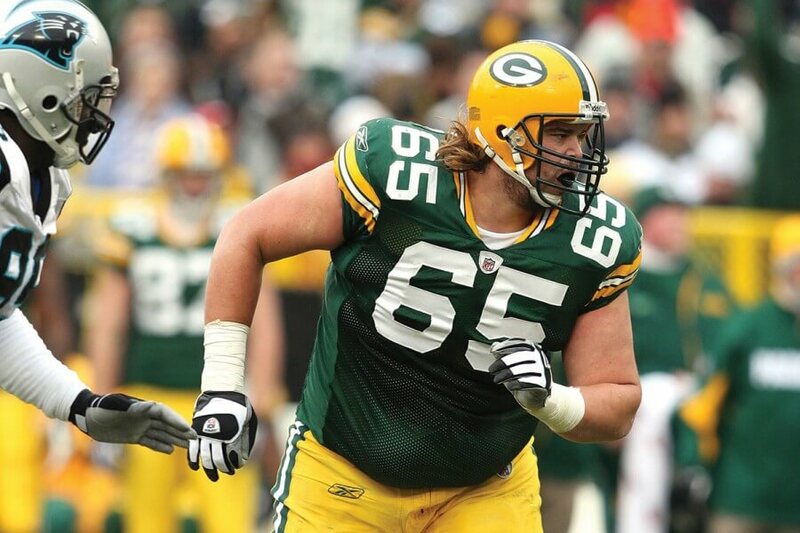 Mark Tauscher excelled in football in a quintessentially Wisconsin sort of way: quietly setting goals, steadily making progress — and then seizing a big opportunity. “For me, it always just comes down to: believe in what you’re doing and try to get an understanding of how can you take steps to get where you want to go. It doesn’t have to be in one bound,” says Tauscher, who was a reserve player for three years for the Badgers before becoming a starter. “Try to figure out, is this something that you really want to do? And if it’s something you really want to do, are you willing to put in the effort and the work to do it?” he says. Of the 141 walk-ons who have been letter winners at the UW since Alvarez started as head football coach, 16 have played in the NFL. Tauscher played there longer than any of them — eleven years — all with the Green Bay Packers. 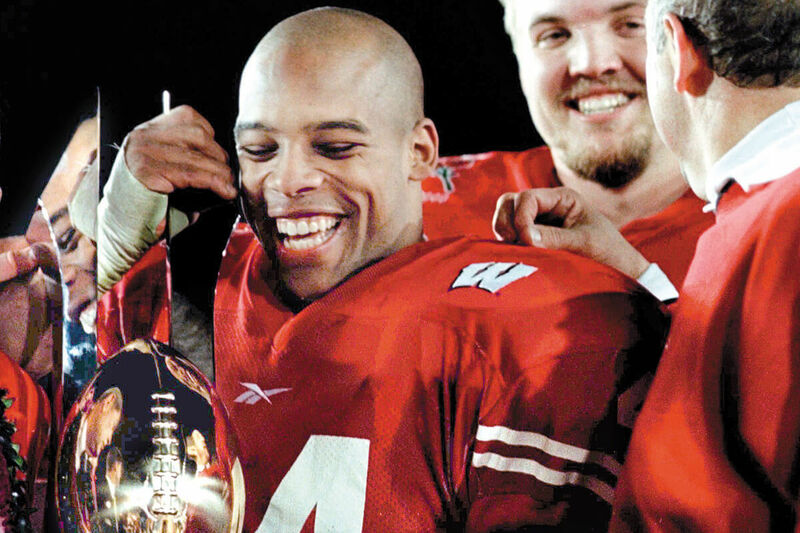 His was “one of the great football stories and careers of anyone to come out of the state of Wisconsin,” the Milwaukee Journal Sentinel said. Yet Tauscher was decidedly unheralded when he arrived at the UW in 1995. After being noticed when his high school basketball team (yes, basketball) played in the state tournament in Madison, he was invited to walk on as an offensive lineman. Tauscher knew he would need perseverance. The first was to survive: to hold his own in one-on-one drills, and to try to earn some practice time with the second-stringers. In his second year, Tauscher gradually earned some playing time. But it was still an uphill climb, on a steep grade, playing behind two tackles (Chris McIntosh and Aaron Gibson) who ended up in the NFL. After a year as a redshirt, then three years as a reserve, Tauscher decided that his fourth year would be his final season with the Badgers, even though he still had a year of eligibility remaining. He started considering a transfer. So Tauscher returned for a fifth year. 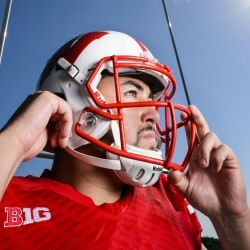 Finally a starter, he helped lead the Badgers to a second consecutive Rose Bowl victory. He went on to win a Super Bowl ring with the Packers following the 2010 season. Being overlooked, or even doubted, can have advantages. One of J.J. Watt’s summer jobs while at UW–Madison was painting a railing that circles the upper deck of Camp Randall Stadium. It offered moments to daydream about playing on the field. Watt, of course, would become a star defensive lineman for the Badgers. But that came only after he had been told he wasn’t big-time college football material — and after giving up a football scholarship after one year at Central Michigan University without a guarantee of what might lie ahead. At Central, playing tight end, Watt caught only eight passes during his freshman season in 2007. Deciding that he’d never be a featured player for the Chippewas, he took a risk by giving up the scholarship, transferring to Wisconsin, and trying to make the team as a walk-on. By 2010, his third year as a Badger, Watt was a second-team All-American and was leaving school a year early. 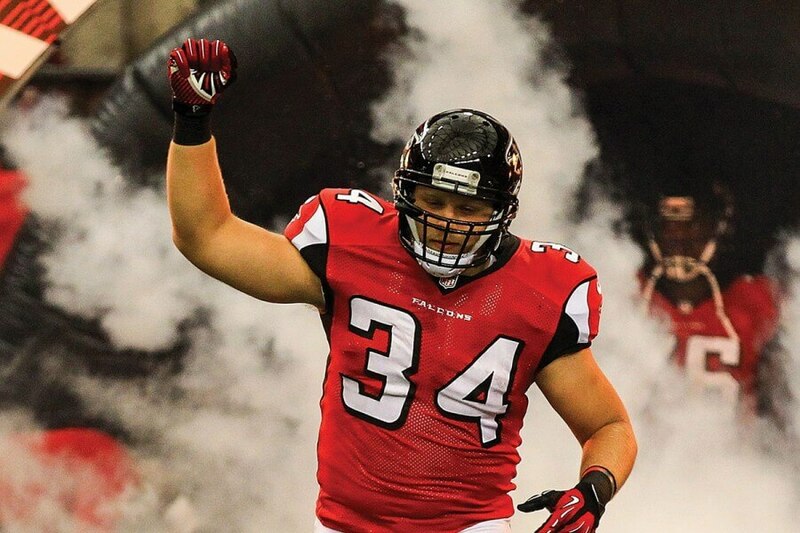 He was the eleventh overall pick in the 2011 NFL draft. He has already been named the league’s most valuable defensive player twice, in 2012 and 2014, and in July, he was named the top player by NFL Network, making him the first defensive player to earn that honor. 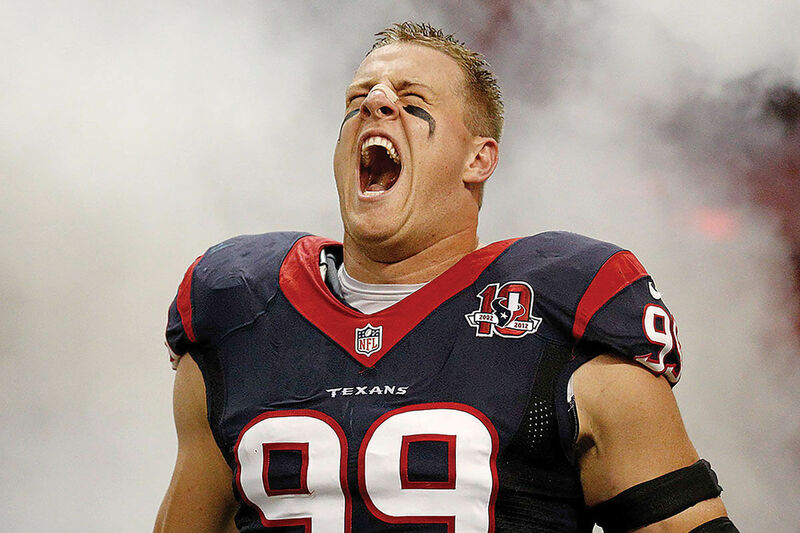 Wisconsin walk-ons who succeed use a chip on their shoulders to motivate them to greater heights, Watt says. “You’re happy to be on the team, but you have to do that much more to earn your place. It gives you an edge. You know you have to go above and beyond what the other scholarship players have to do,” he says. Honors Honorable mention All-Big Ten and team captain, 2009. Played in winning game at 2009 Champs Sports Bowl. 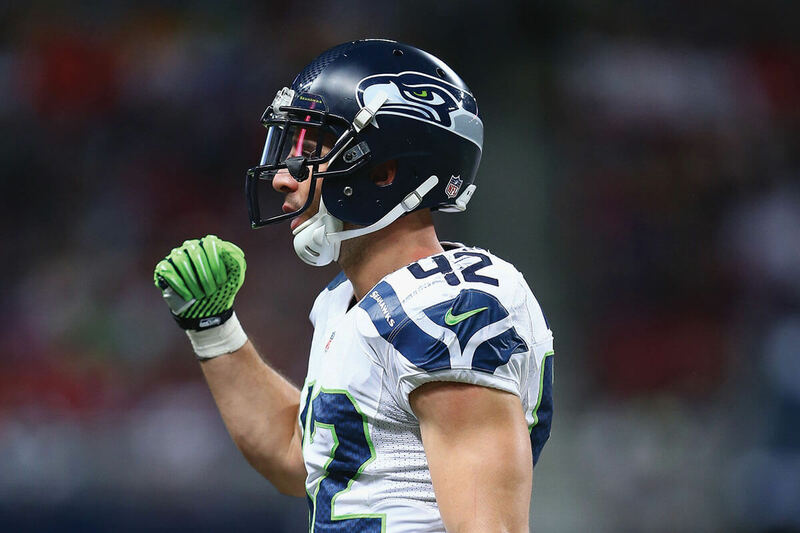 After starting eight games as a redshirt freshman walk-on at Western Michigan University, Chris Maragos believed he had earned a scholarship for the next season, but it didn’t come through. Maragos, who switched from wide receiver to defensive back after coming to Wisconsin, believes he made team captain because of how he carried himself when he first transferred. “I was listening to what [my teammates] had to say, and every day at practice I was just giving it my all, no matter what the drill was. Just trying to earn the guys’ respect for who I was as a person. I really believe that people will respect your character more than they will respect your accomplishments,” he says. Honors Played in four consecutive bowl games, including Rose Bowl victories in 1999 and 2000. Team captain, 1998 and 1999. Donnel Thompson preaches the potential of teaming up unbridled enthusiasm with a solid work ethic. Thompson says the doggedness he developed as a walk-on helped him years later, while working at Direct Supply, Inc. in Milwaukee. He lost his biggest customer — and feared his boss doubted that he could handle major accounts. Thompson is now a vice president at the company. Tom Kertscher ’ 84 is a Politi-Fact Wisconsin reporter at the Milwaukee Journal Sentinel, a freelance sports correspondent for the Associated Press, and the author of two sports books.